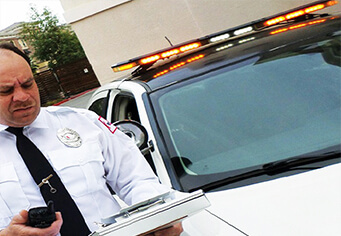 When is NOW the right time to hire security guard services and why? Most property owners, management personnel and building administrators of apartment complexes, condominiums and luxury apartment high rise buildings and tend to think things are fine on their properties because no incidents have occurred in the past 3-6 months without having security guard services. So they figure, why hire now? The truth is that many property theft attempts take place without the property manager or owner’s knowledge. Some of these on site property theft and break-in attempts fail, but are also NOT noticed by anyone, including tenants and especially property managers who are generally in their offices. The big question is why? Property management is generally not trained for these types of security issues and generally aren’t not aware of why security guard services are valuable and how they can save properties and tenants considerable sums of money and valuable time. When a property has theft issues and some vandalism occurrences, the first thing a property manager will do is make a report of the theft, vandalism or break-in, possibly report it to the police and then generally the tenant is left with very little recourse, as the attempt was not seen by anyone on the premises. This leaves the tenant feeling helpless and victimized, asking property management for compensation and reassurance that it will not happen again. Here’s why “NOW” is the right time to hire security guard services. In some cases, property managers feel it is best not to hire security guard services, as this will bring more attention to the security issues ad challenges at hand and make tenants feel that “they” are being watched and thus make them feel uncomfortable. For example, the last thing an apartment complex management team wants is to have a “less” desirable place for tenants to live in. The main concern should always be to keep your property and tenants safe and give tenants “ongoing” peace-of-mind. Basically, you need to provide your tenants the feeling of a safe atmosphere. Outside of the advanced levels of security a private security force provides, the advantages extend towards the marketability of the space to new and existing tenants. It is these factors that influence most companies to hire a private security company, like Citiguard. Citiguard offers professional grade security protection guard services at competitive rates along with value-added security solutions.Most well-established and credible properties will have some sort of security feature in place, whether it’s key fobs or cameras. But many property owners and managers think by just having cameras and key cards, they can live without security guards in favor of saving money, hoping the technology serves as a deterrent. However, there are major advantages to hiring security guards in Los Angeles. One of the major advantages of hiring security protection guards onsite at your property is decision making and accountability. A security guard can see things cameras can’t. They can investigate anomalies, use good judgment, secure perimeters and create a visual deterrent that is unmatched by modern technology. The deterrent factor alone is well worth the investment of hiring ongoing security guard services. In order to determine your need for security protection guards for your property, consider your location and the requirements of the building and tenants. What type of tenants do you have: residential, corporate, retail, office, etc., and how important is security to them? What type of services or merchandise do they offer that may also pose a security risk if not properly accounted for? A company like Citiguard, has the expertise to effectively secure a facility of any size or industry. Location also what matters in determining the size and type of security force that needs to be employed. High crime areas deemed “high risk” areas, generally have some sort of security system or a guard on patrol, just to provide that level of comfort to the tenants and promoting continued occupancy. One of the major selling points for a property, is their ability to secure their tenants regardless of their tenants or industry. That is why it is important to find a security guard company la with a proven track record and high level of proficiency like Citiguard to not only provide private security services, but to also promote a culture of security for the tenants of the building. At Citiguard, customer attention, integrity and response is at the core of our service philosophy and has always been a tradition. To ensure we provide top tier quality service that meets our client’s expectations, we emphasize on the principle of giving more than they expect. “We deliver what we promise.” We meet this goal by “listening” to our valued clients, their security concerns, needs and requirements. By focusing on providing security solutions tailored to fit each customer’s needs, Citiguard is redefining delivery standards and bringing service differentiation to its clients.